Locally owned with more than 30 years of service to the community, Blank & McCune, The Real Estate Company has proven its effectiveness in selling property and assisting clients in purchasing homes. Their customers and clients benefit from their professional team’s expertise and their in-depth knowledge of local business, financial and community services. They offer a full range of professional services to serve the buyer and seller. Access to the Multiple Listing Service expands their coverage area. Internet connections for advertising and research help them provide first-rate service. Up-to-date comparative market analyses of properties help both the buyer and seller to get the most value for their dollar. 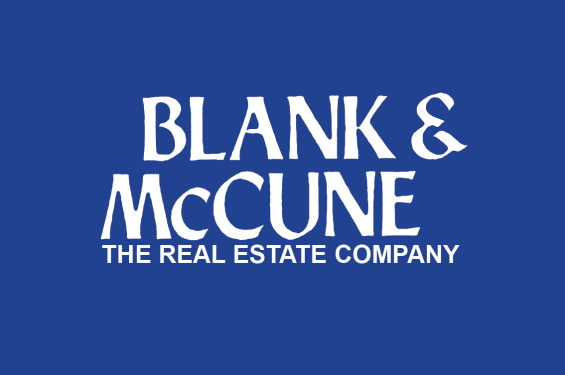 Blank and McCune, The Real Estate Company is dedicated to remaining a locally-owned firm. Their reputation is responsible for their success with many repeat clients through the years.